The morning of surgery, doctor comes to me and says he thinks the best chance for long term success is to do a DS. I consent. So, laparoscopic vertical sleeve complete and DS to come in 9 - 12 months. 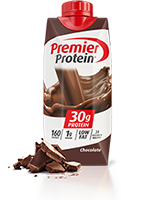 I'm getting enough protein, for the last two days, but I'll take every victory, but I don't care for things that taste overly sweet, so I'm looking for recommendations on flavourless protein powder. I enjoy the chocolate and vanilla that I have for shakes, but I'd like to add protein to oatmeal, for example, but don't want all the sweetness of these protein powders. Pain is less everyday. I've got about 2 hours of energy before I need to have a rest. Naps are great.